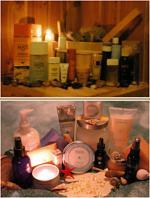 “Essential Elements” make up our line of exquisite Spa products. Essential oils have a wide variety of beneficial effects in both health and beauty applications. To ensure maximum therapeutic benefits, our products utilize only the highest quality essential oils and advanced botanical ingredients. We do not use mineral oils, artificial coal tar dyes or synthetic scents. All of Essential Elements products are cruelty free. Our beauticians use the Clayton Shagal line of exclusive products. In our salon, pamper your hair with our many lines of professional hair care products.